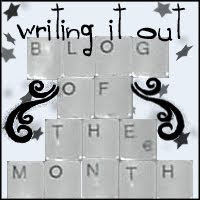 Beth Revis: October Blog of the Month: Query Tracker! As I announced last week, the Query Tracker blog (a part of the QueryTracker.net query program) is the Writing it Out Blog of the Month! I selected Query Tracker for a few reasons. First, the entire site (both the blog and QueryTracker.net) got a totally new updated look. The redesign not only looks professional, but enhances the functionality. Second, as I've recently started querying my latest project, I've turned time and again to both the blog and the site. I've quit keeping track of queries through my own paper methods and have started using the Query Tracker premium membership entirely to log my queries, keep my notes organized, and keep track of who and when I've queried. And I've got to say...it's totally worth the low $25/year rate. Since it's online, I find myself able to keep track of things better (as I can access it at school, work, the library, and the coffee shop). But the blog is so valuable, too! Run by a group of dedicated, professional women--including Carolyn Kaufman, Suzette Saxton, H.L. 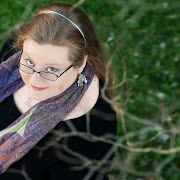 Dyer, Mary Lindsey, and Elana Johnson--the Query Tracker blog provides valuable insight into various different aspects of writing and publishing. Among my favorite features of the blog are the inspiration and motivational posts that let us know that our doubts and fears are not unique, tips on specific types of writing and how to improve, and interviews with published authors and agents. I have two favorite features, though. The first is Medical Fiction Questions Answered, in which Doctor Dyer answers questions about what could happen to characters when they are sick or injured. Need to know how quickly your plague-infested hero could reasonable recover, or how debilitating a broken ankle could be? Does your character need to be seriously harmed but still able to survive? Need to know which poison your murderer should use? Just ask the doctor! Another feature that I love is the Publishing Pulse. It's hard to keep track of the changing tastes of agents, but Publishing Pulse does just that. 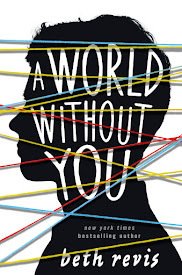 Nearly every week, the Query Tracker girls compile all the news about agents and publishers--who's accepting, who's not, who's changed tastes, who's looking for what in each genre--and posts it here. It's updated in the QueryTracker.net page as well (obviously), but if your currently on the hunt for an agent (like me), it helps to know about the changes as they occur, rather than update every agents on your list one at a time. But you don't have to take my word for it! When I selected Query Tracker as the October blog of the month, I got in touch with the lovely Elana (of FROM THE QUERY TO THE CALL fame), and asked her what her favorite features of being a writer for the Query Tracker blog were. Here is her interview! What are the origins of the Query Tracker blog? Well, Patrick McDonald started the blog to go with the main QueryTracker site, but he didn’t have much time to do anything with it. Once he launched RallyStorm (July 2008), he had even less time. A few of us had formed a critique group and well, one day someone (I think it was Carolyn Kaufman) brought up the fact that there was a QT blog and hey, maybe we should take it over. And since I’m totally addicted to blogging, I jumped at the opportunity to be a co-author for the QT blog. We put together a plan (yes, we’re very organized), and sent it to Pat around Christmas of 2008. We started blogging the last week of December, 2008. And the rest is history. What do you hope people get from the QT blog? Well, our slogan is “Helping Writers Become Authors”. That’s the ultimate goal. We try to give writers the tools they need to transform from writers to authors. Things like writing query letters, querying, submitting to agents, finding time to write, perfecting pitches, how to deal with rejection, building platform, as well as the basics like grammar and manuscript formatting. We run the gamut. If you need to know something about writing or publishing, chances are we’re going to address it on the QT blog. What kinds of features are on the QT blog? What are some of your personal favs? We have literary agent contests (one coming up in November – very exciting!) and interviews. These are invaluable sources of information for authors looking to query. H.L. 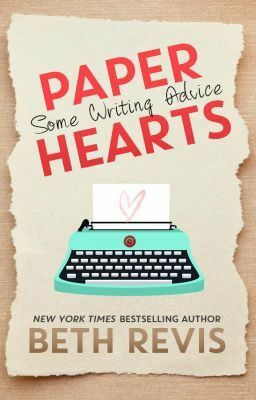 Dyer is a doctor, and she answers medical questions for fiction writers. Carolyn Kaufman has dipped into her field of psychology and answered questions and broken down several stages of publishing for our readers. We all have our own strengths. We’re all in different stages of our publishing journeys. And that helps us relate to every kind of writer out there, from beginning to advanced, agented to pre-published. Whoa! How's that for an inside tip--there's an agent contest coming in November! If you need any more convincing, let me assure you of how amazingly awesome that is! What have been the best advantages of being a writer for the QT blog and/or blogging in general? The biggest downfalls? Writing for the QueryTracker blog has been awesome. I couldn’t ask for a better group of writers to co-author with. The agents we’ve approached for contests, interviews and judging have been kind and easy to work with. It’s been exciting to see the blog grow so quickly in such a short amount of time. I think the biggest downfall is keeping things fresh. Not just for the QT blog, but in all blogging. I blog five days a week, and let me tell you, sometimes I’ve got nothing to talk about. On the QT blog, we try to keep our finger on the pulse of the publishing industry and provide posts that will give writers the information they need, when they need it. And that can be a challenge sometimes. But the five of us? We love ourselves a challenge. By the way, we’d love to know what authors out there want to see addressed on the blog! Thanks so much for letting me do this interview! Come follow us or subscribe to the QueryTracker blog! Oh, excellent choice! I love Query Tracker. Wow! I'm thrilled to read this, Beth, and sorry to have come across it so late in the game. Thank you so much for your support, you are awesome!